Every year around Father’s Day we have to make some awkward decisions. Do the wife and kids spend it with me or does she take the kids to see her Father? You’re probably thinking, well why can’t you all get together? Yeah well that’s not my idea of a good time so I usually opt out and stay home in a quiet house. This year was a little different because my wife had to work which left me home with the kids until mid-afternoon. Here was a chance for me and the kids to spend some ‘quality time’ together doing something I wanted to do. Easier said than done. I spent the morning doing the usual: breaking up fights, cleaning up spilled cereal and trying to talk the crew into doing something ‘fun.’ I had suggested that we go out for a hike while getting home in time for Dad to watch the NASCAR race and for the kids to play Wii or with Legos or a Lego game for Wii…you get the idea. As usually it was met with a chorus of ‘nooooooooooo’ and ‘whyyyyyyyyyyyyy,’ but I stuck with it and eventually dragged them all down to the car kicking and screaming. I DID have to bribe them by packing some m&m’s in a bag for later. 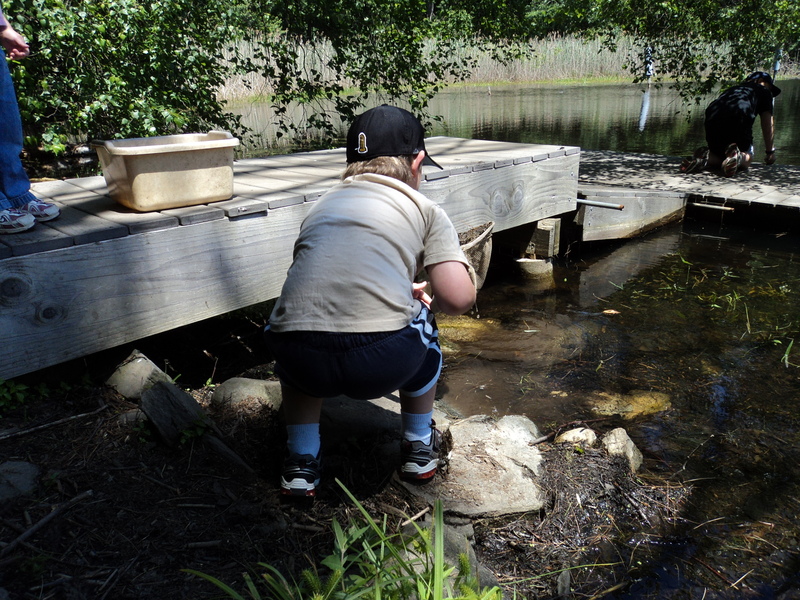 We headed over to Westmoreland Sanctuary in Bedford, NY where the boys have been on many school trips in the past. One of the highlights of those field trips has always been digging around in the pond with nets to see what creatures they can unearth. They seemed excited to get dirty so I let them have at it for a while. 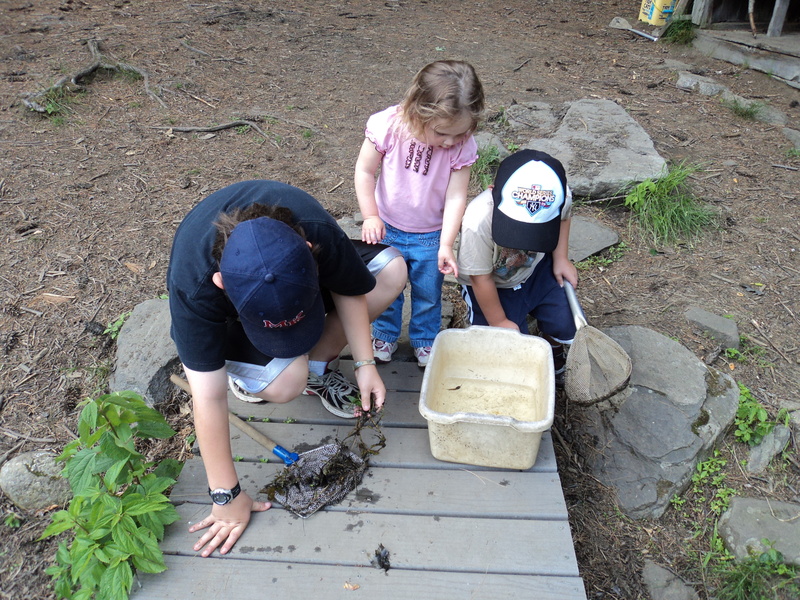 We found some tadpoles, dragonfly larva and a few small fish and remarkably no one fell in the water. Now that they were in a good mood I urged them to hit the trail with me. Rather than risk getting lost I decided to stick to the trails we had been on before with Cub scouts. Within the first few yards the three-year-old faceplanted twice while trying to run amongst the roots and rocks. No harm done. We climbed on the big rocks, watched out for animals and heard the loud call of a piliated woodpecker, but we never managed to spot him. My daughter got down on the ground and pointed out the ‘comfy grass’ which her oldest brother correctly identified as moss. Inevitably the boys had to pee so they reveled in the freedom of peeing into the void off a large ledge. 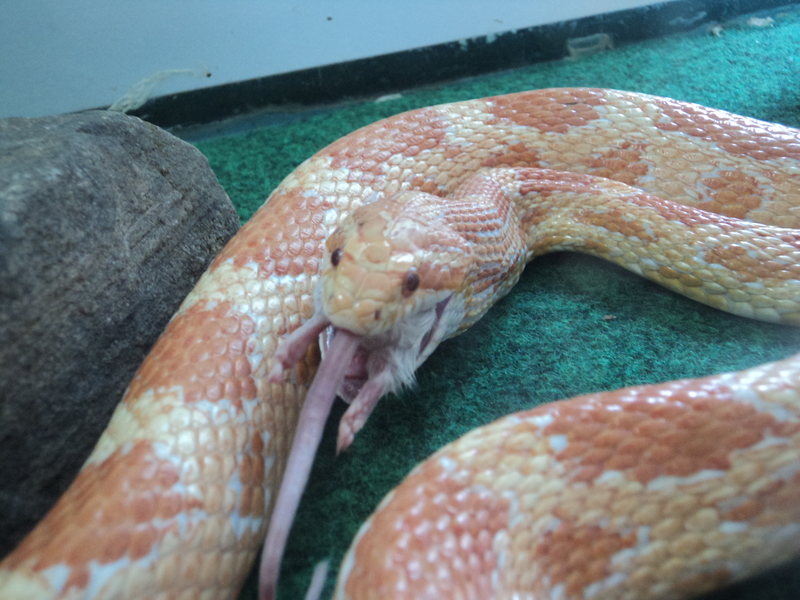 Ah the simple pleasures of life. There was some whining of course and a few complaints of, ‘can we go to the mall next Father’s Day,’ but we soldiered on. 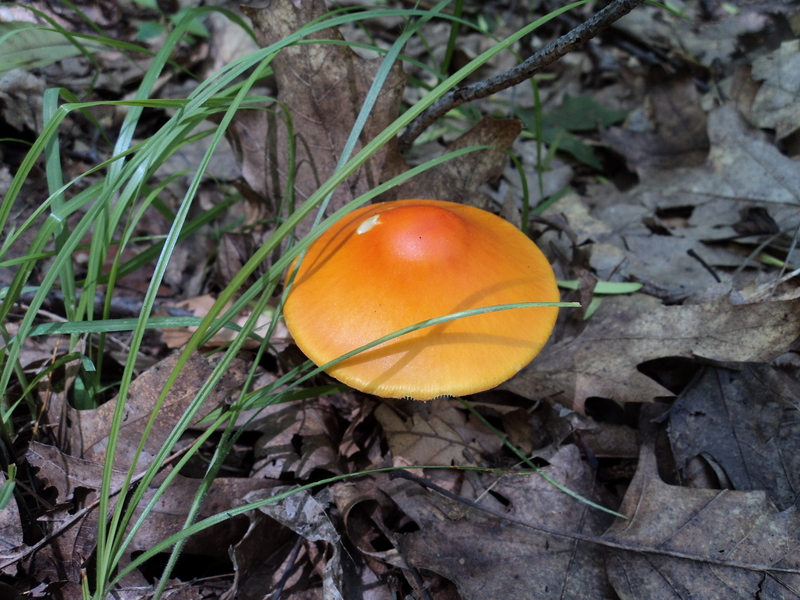 We saw a big frog, some cool orange mushrooms and spent a good fifteen minutes throwing things off a cliff. The trail circled back to the pond and I knew we’d end up with the nets and the bucket again. They seemed to move a little faster when I told them that. 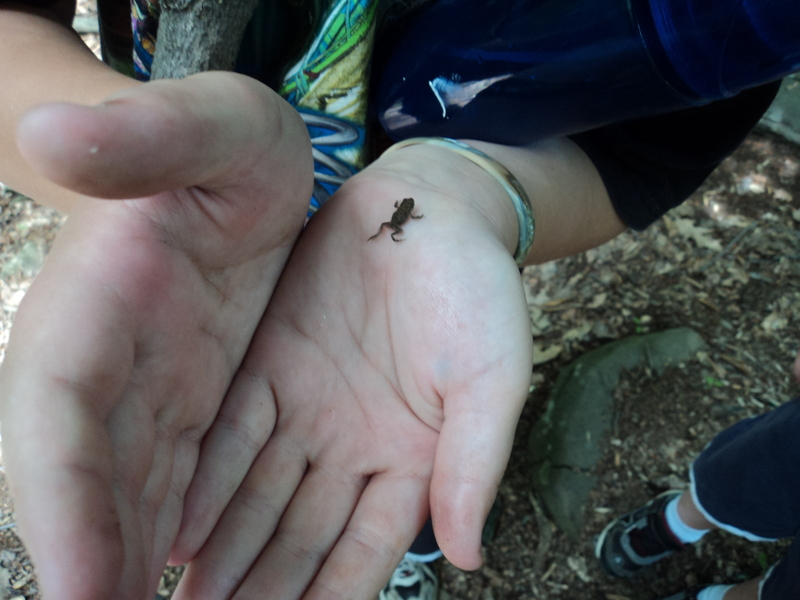 Our last wildlife sighting was a TINY frog which everyone took turns holding and consequently getting peed on. I told them it was probably payback for earlier in the hike. Another round of scoop and scope at the pond then we headed back up to the nature museum. On the way everyone exclaimed how much fun they had and asked if we could come back again. 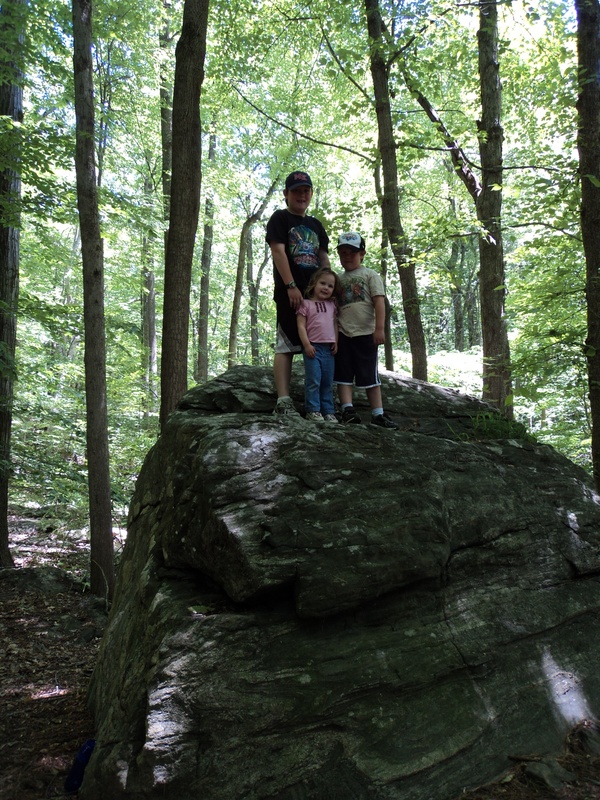 I assured them that we’d be back several times over the summer and eventually hit all of the trails. We ended up spending longer than expected so I only managed to get home to see the end of the NASCAR race, but it was worth it. My wife came home, there was the traditional card and homemade gift presentation then they were off to Manhattan for dinner. I fired up the grill and made some burgers for myself, took a nap and enjoyed the peace and quiet. All in all a perfect Father’s day. 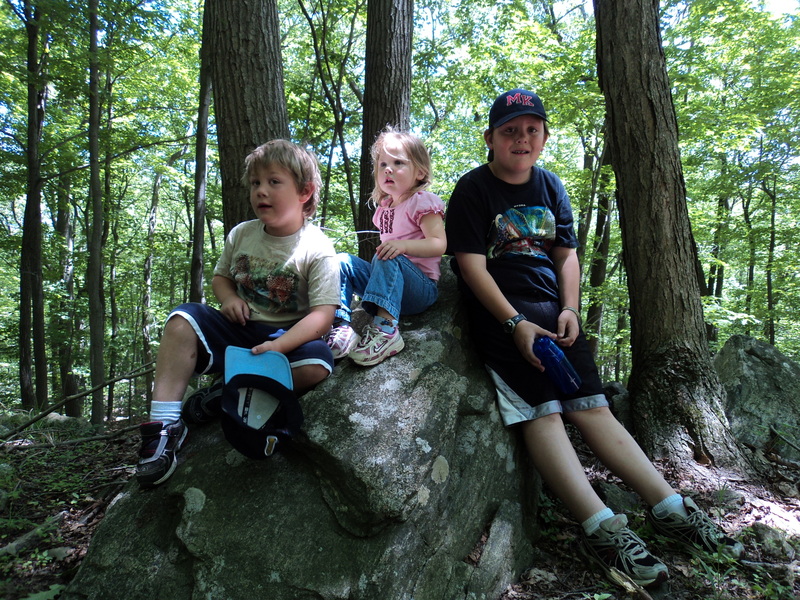 This entry was posted in fun, Kids, learning, Local, memories, Nascar, Play, school, Stay at home Dad and tagged father's day, hiking, nature walk. Bookmark the permalink.